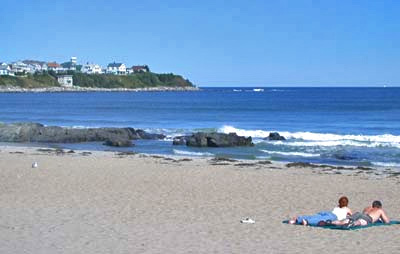 The State of New Hampshire has a short stretch of coastline, but Hampton Beach offers everything that summer visitors love about the ocean in one vacation destination. In Hampton Beach, you will enjoy a pristine stretch of beach that was recently named one of four “Superstar” beaches in the United States, due to perfect water quality testing results for three consecutive years. In addition to the beach – which draws visitors from throughout New England and Eastern Canada – Hampton Beach features a boardwalk full of shops and arcades, a wide selection of restaurants, weekly fireworks, free concerts at The Seashell Stage, a calendar of annual events that includes everything from the Sand Sculpting Competition to the Seafood Festival, and the Hampton Beach Casino Ballroom. The “Casino” opened in 1899 and has been hosting national acts each summer since adding its Ballroom in 1927. Tidewater Campground is the Closest Campground to Hampton Beach! Yes, Tidewater is the closest campground to Hampton Beach, but the park offers so much more than just proximity to the beach and the wide range of added regional attractions. From tent sites to RV sites to seasonal camping, Tidewater features the best in family camping, with everything it takes to make the perfect family camping vacation. Make your reservations early to avoid disappointment. The park is open from mid-May thru mid-October. Reservations are nearly essential for July and August, and advance reservations require a three night minimum stay. We look forward to hosting your Hampton Beach vacation and look forward to welcoming you soon!